As we arrive at the end of Rabi al-Awwal, a month where Muslims come together to celebrate the Milad, or the birth of the Prophet Muhammad (peace be upon him), we feel refreshed by the gatherings we have attended in honour and veneration of the Messenger of Allah. Many express this love through a variety of ways; through the recitation of the Holy Book, The Quran al-Kareem, listening to sermons wherein his life is recounted, almsgiving to the poor or by reciting poetry in praise of him. Such gatherings are occasions that encourage us to engage in the divine practice of sending blessings and peace on the Prophet: ‘Indeed Allah and His angels shower blessings upon the Prophet, O you who truly believe, ask blessings upon him and greet him with greetings’ (Q33:56). It is the Qur’anic imperative and through traditions of the Prophet that we find words of remembrance that motivate many of us looking to fill that spiritual vacuum that may exist in our lives. When looking for that divine compass, Muslims during this month take advantage from being spiritually recharged and whose celestial impact lasts longer than the results obtained from many bestselling self-help guides that sit on bookshop shelves. The month of the Mawlid is often seen as a time when families, friends and even strangers gather to remember the Prophet in praising him through various means of remembrance. We know that Allah has named his Messenger “The praiseworthy”, and thus it can only be incumbent upon us to follow such a call. Muslims believe that the Prophet Muhammad (peace be upon him) was sent as a mercy to mankind, and it is in this mercy we recognise the importance of his perfection. Historically, even going back to the Fatamid era, gatherings such as the Mawlid have been a vital source and opportunity for individuals to learn more about the salient features of the Prophet’s life, his character, his kindness to those who are needy and those disadvantaged, his actions that helped guide individuals with their daily affairs, his ethics and values exemplified in his interaction with various religions and cultures, his honesty in keeping to his word through treaties and promises, his humour to alleviate distress and his mercy to those that had wronged him, a standard for all of us to aspire to. One of the great lessons we learn about the character of the Prophet is through listening or reading about his blessed life. Through prophetic traditions, we learn how the Prophet implored us never to judge individuals or form an unfair judgment but to keep a good opinion of others regardless of what we may witness of them. One of these great stories is the story of Julaybib, a companion of the Prophet who was referred to as being ‘damim’ ugly or deformed. Many people shunned him to the point when people learnt he was approaching their homes they would avoid him and close their doors or mock him from afar. Julaybib was consciously aware of what people thought about him, however once the Messenger of Allah arrived in Madinah, Julaybib was assiduous in learning from the Messenger of Allah and would sit with humility and in a shy manner at all times in the presence of the Prophet. When the Prophet once asked him about marriage, he assumed he was being teased as this was something he never dreamt was possible because of his physical appearance. However the Prophet did not see it this way and valued him as a person by taking the initiative in asking for the hand of an Ansar girl who was known for her beauty. The girl’s parents initially were ecstatic thinking that the Messenger of Allah himself had come for her hand in marriage. When they heard that Julaybib was in fact the prospective husband they declined the proposal. Upon hearing the proposal from the Messenger of Allah, the daughter was overcome by the verses of the Quran that states the importance of a matter once Allah and His Messenger have decided on it. She had understood this visit to mean much more than what many individuals would go through when getting married and that was the importance of understanding that the man being proposed to her was someone whom the Messenger loved. Henceforth whatever he loved she loved, and in turn the beauty of Julaybib had manifested itself to her in ways that many could not see. After much protestation she was eventually betrothed to Julaybib. They were blessed with the prayers of the Prophet and lived in happiness until the death of Julaybib, which is a fascinating story in itself. Some important lessons that can be learnt from this is the approach the Prophet had in recognising the worth of every soul on this earth, but also the love that individuals had for the Prophet that they oversaw the blemishes that we all may have physically or internally within our character. This simple example should encourage us all to reflect on our own deficiencies yet motivate us with aspirations of what we hope to attain from this world, which is being able to praise our Maker through loving the Prophet and what he loved. We are reminded of the importance of this love through the hadith of the Prophet which states, ‘Teach your children three things: Love of the Prophet, love of his family and companions and love for the Quran’. Many scholars highlight that celebrating the birth of the Messenger of Allah is an occasion that should be observed throughout the year. With the increasing amount of Mosques in the West many individuals now have the chance to celebrate these gatherings close to their homes. Even if this does not take place where you reside, we all as individuals have a beautiful chance to begin such a celebration in our homes. At a recent Mawlid organised by family members, we had the honour of having a guest who left a deep and lasting impression on the audience through his state and presence. Family members asked me about this and I repeated what I had learnt from this man’s son; that he has been dedicated in celebrating the Mawlid in his home for the past thirty years, once a month. Not only this, but he also operated an open door policy for any individual to attend, and these were the Mawlids that I was aware of. Reading and listening about how Mawlids are celebrated, we soon learn the richness of such gatherings. Annemarie Schimmel in her book ‘And Muhammad is His Messenger’ has some beautiful descriptions of how this month is celebrated, from the country that they are celebrated in; the decorations that individuals place in their homes, to the food and sweets that are served to guests and children, the poetry and songs that they often recited and how the local culture impacts they way they celebrate the Mawlid. We are fortunate, of late, in the West to read exceptionally translated texts into the English language that aid us in such veneration. Such translations include the Qasidah al-Burda of Imam al-Busiri by Shaykh Hamza Yusuf and Shaykh Abdal Hakim Murad which offer many individuals the chance to read the beauty of poetry composed in praise of the Prophet. Other works such as the Dala’il al-Khayrat, the Barzanji Mawlid and ash-Shama’il al-Muhammadiyah by Imam Tirmidhi are a few of the many that can also be read at such gatherings. As we move on in preparation for our ultimate journey of felicity, I pray that we are able to carry the festivities of light in holding Mawlids all year around, inviting friends and family, establishing a positive environment for children to experience loving the Prophet, his family and the Qur’an al-Kareem, and most importantly, being able to carry this torch of light to next year in greater preparation than the year that has passed. 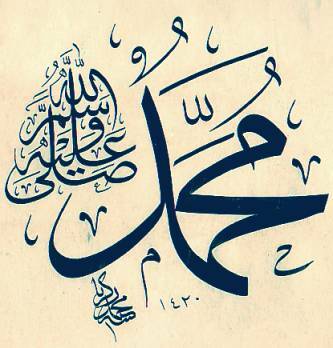 After all, emulating the Prophet in his character is something that we all yearn to increase, and the Mawlid is one avenue that aids us in our expression of loving the Prophet Muhammad (peace be upon him). This concludes the Light Reflections series on Healing Hearts. Hope you have enjoyed reading all the daily posts. Please recite a special prayer for all the contributors, their families and teachers. beautiful, as always. I come here for the sweet honey of love, the ship of knowledge that beckons me to get on board, and the view of humanity that is, masyaAllah… so beautiful under the light of the Prophet! how fortunate are we? !